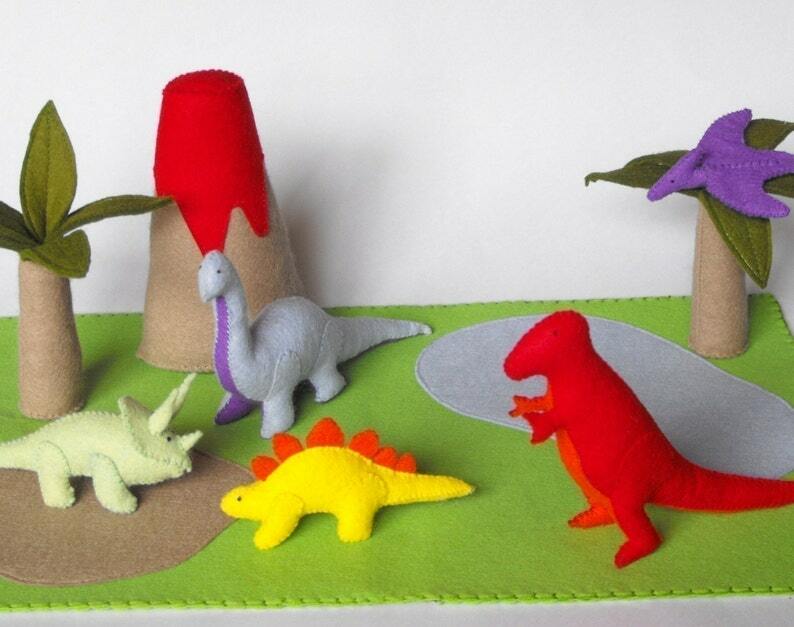 Ready for some prehistoric play? This pattern is perfect! Including some of our favorite dinosaurs: Tyrannosaurus, Stegosaurus, Pterodactyl, Brontosaurus and Triceratops! Move the trees and volcano around, play in the tar pit or lake and have fun! When finished, everything slips in pockets on back and folds up. Little handles make it perfect when your on the go.